Now I turned the preload adjuster about 5 turns, sat on it again and measured and it was the same (43.5cm), tried again another 5 turns, same height, I literally turned and turned, I was thinking that the nut was just spinning, when all of a sudden, it started tightening up, but I only got a couple of turns from when it started stiffening until I couldn't turn the nut any more......anyway when we measured again the height was 45cm, so all good. So my question is.....is this normal to have the preload nuts turn and turn and seem to do nothing until the end of the adjustment? After 9 months of ownership I did the same 2 days ago and being slightly heavier than you I did the same only when I reached “fully in” I was as still a few mm short of the required range at the rear. Front ok so I think it left the factory set up for an oompah lumpah !! Ahh that has made me feel a bit better.....thought I was doing something wrong. I didn't think I was "heavy", now I know what girls feel like when they are compared to size 0 models....is the average bike rider 85kg, that's bloody small! I must admit that I’ve never really understood BMW’s instructions for setting sag, but the behaviour you describe fits with how a linear spring would work. Apologies if I use any incorrect terminology here. Total sag consists of static sag (caused by the weight of the bike) plus rider sag (caused by the additional weight of the rider). Assuming that the preload does not overcome the static sag (such that the suspension doesn’t squat at all under the weight of the bike), then it should have no effect on the rider sag, which is governed only by the spring stiffness. 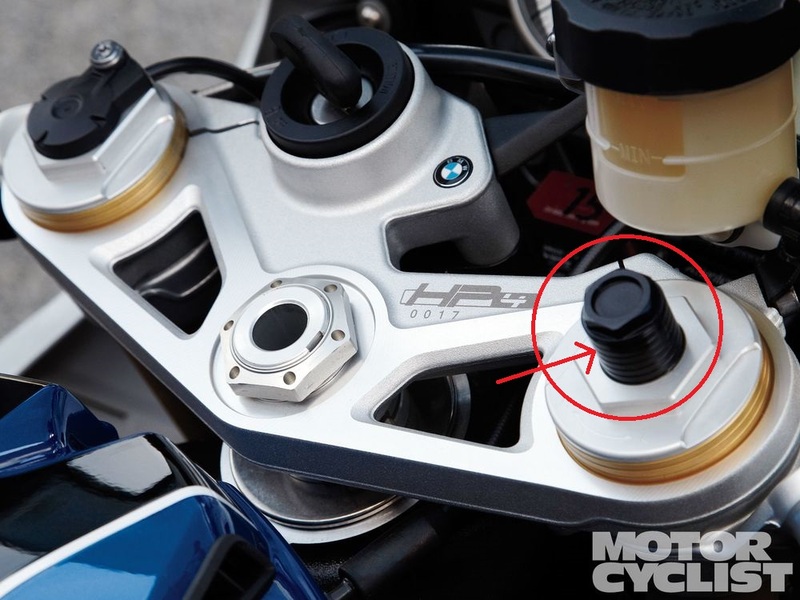 So, if you want to change the rider sag (which is what BMW want you to measure) then you have to change springs. The total sag would reduce in this situation as you’d be reducing the static sag by increasing the preload. 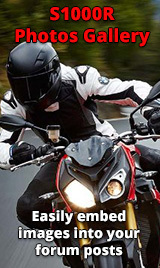 Alternatively, if the preload adjustment can overcome all of the static sag and more, then it would be possible to affect the rider sag that BMW want you to measure. In this case, you wouldn’t see any change in the rider sag until the last few turns on the adjuster, once the static has reduced to zero. Now, I always thought that an amount of static sag is required to prevent the suspension from constantly topping out over irregularities in the road. As I’m way more than the ideal 85kg in gear, I pretty much have my preload adjustment maxed out front and rear to try to get the suspension working as close to the optimum range as possible. I haven’t checked any measurements recently (nearly 3 years) so I’ve no idea what my static, rider and total sag numbers look like. Maybe someone who knows more about the vagaries of motorcycle suspension could chip in and tell me I’m completely misunderstanding the sag concept and that BMW’s rider sag measurement makes some kind of sense please? Sorry if that came across as a criticism djmrmagic, I wasn’t trying to say you’ve done or said anything wrong. I was just trying to explain that I don’t quite understand how the BMW rider sag method works. If they were asking us to take all of the weight off the suspension (wheels off the ground) as the starting point then measure the difference with the bike plus rider on the suspension (i.e. measuring the total sag), then it would make more sense to me. But as BMW are asking us to take the rider sag measurement that I thought is dictated by spring stiffness, I’ve never quite understood the logic. Simplistically, I always thought preload is the means to get your total sag to the right point in the suspension travel then changing the spring stiffness is the way to get keep your suspension travel between the stops without bottoming out. Sounds about right similar issue as you but alas slight heavier. Igot pretty close to required settings not sure if mentioned above but need a to done after a ride as oil up to temp. is this the nut on the top of the front forks ? I keep turning and turning ( CLock wise) it just spins forever ? Im 100KG so maybe ive broken it ? I'm 100KG so maybe I've broken it ?